My daughter was having some problem at eye. 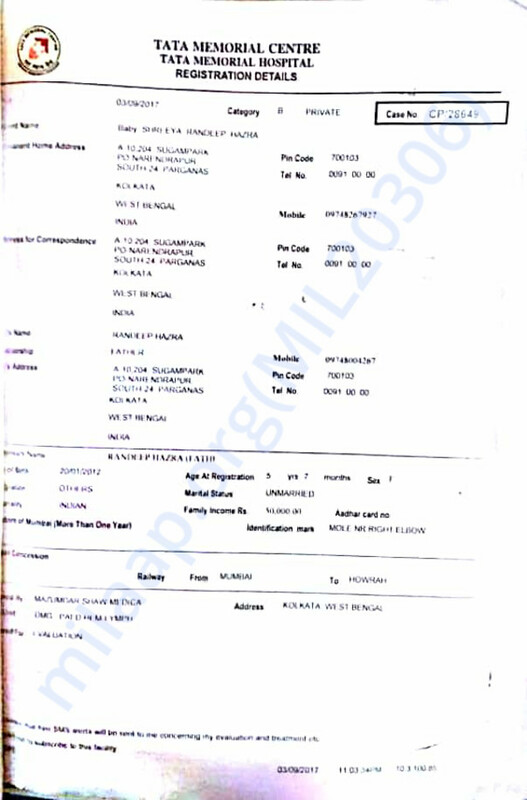 Doctor told it is a problem related to a malignant growth ... over her heart after some test!!! 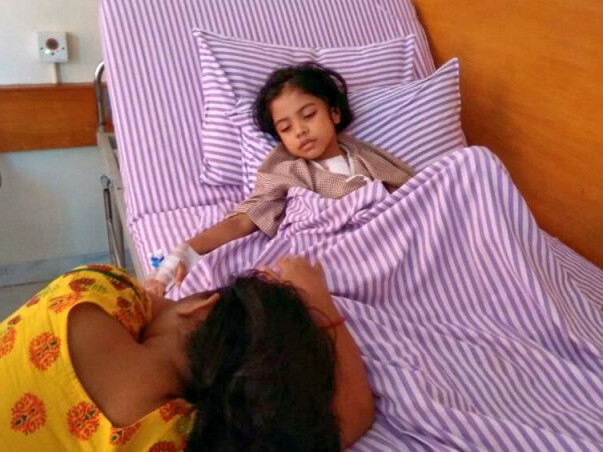 We are at loss and needs help from citizens to help our daughter fight this dreaded disease. She had to undergo the open heart surgery in order to remove the tumor of the heart but that tumor unfortunately turned to lymphoblastic lymphoma. 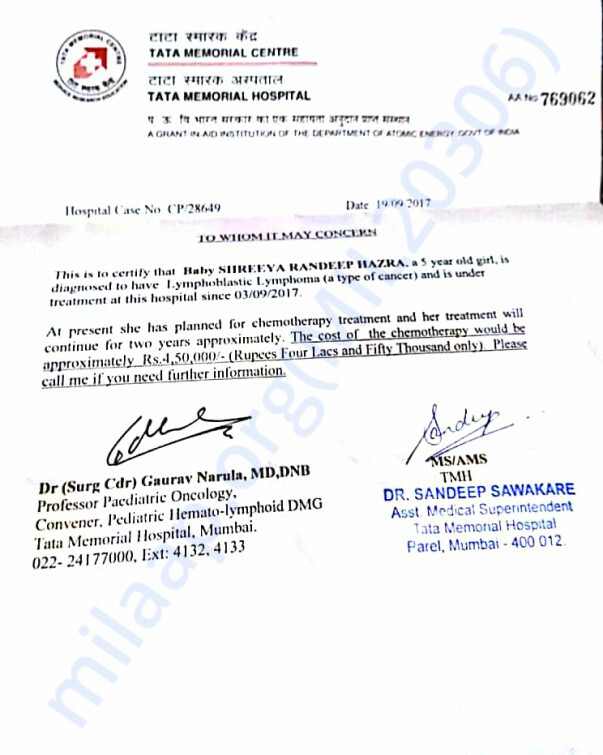 At present she is undergoing chemotherapy at Tata Memorial,Mumbai. 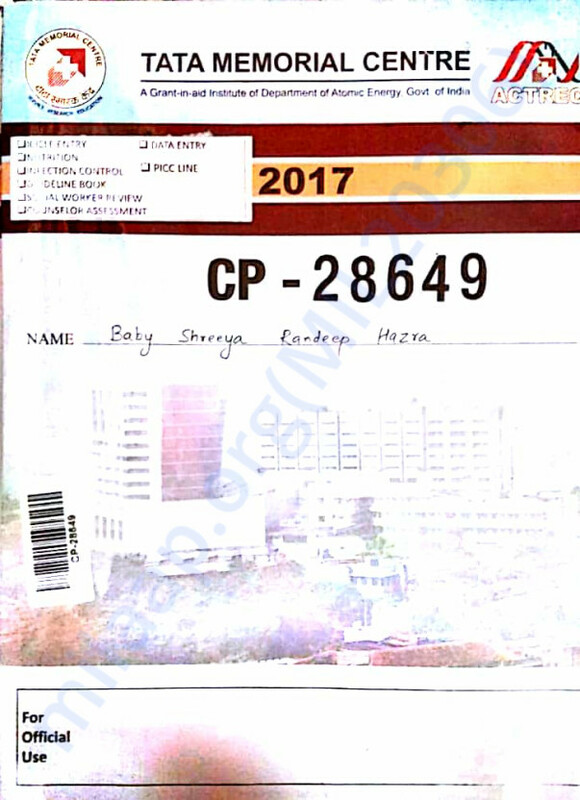 At present She will be completing the induction chemotherapy by 26.09.17. Then the saline with chemotherapy will start.Last 02 days she had fever so the doctors had kept in observation with antibiotic doze is given. Thank you for the wonderful support. 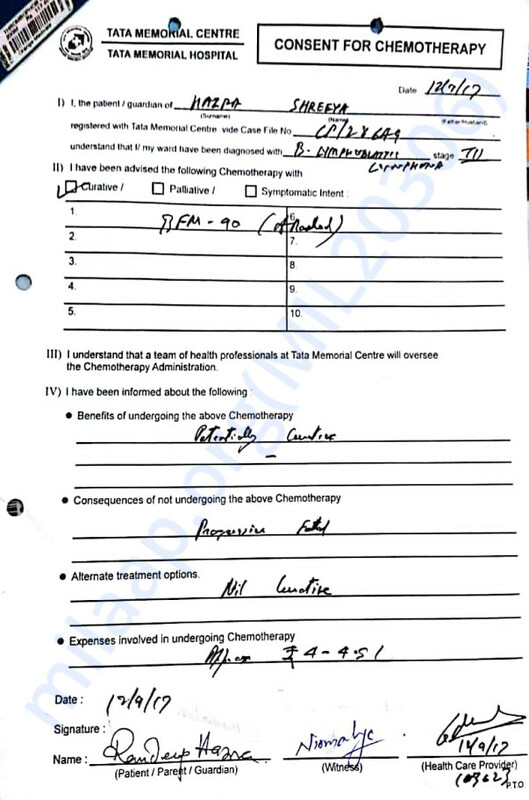 She has completed her re-induction chemotherapy of ICF protocol. In between she has gone through blood transfusion as haemoglobin fell below 7. We are waiting for the maintenance protocol to start as she had contracted viral fever so the re-induction took a longer period. Thank you for the wonderful support. Please do pray for her health and speedy recovery. Do share this campaign further with your friends and family. Will keep you posted. Thank you for all the love and support that you have shown towards Shreya. Her health is stable now and she is recovering well. 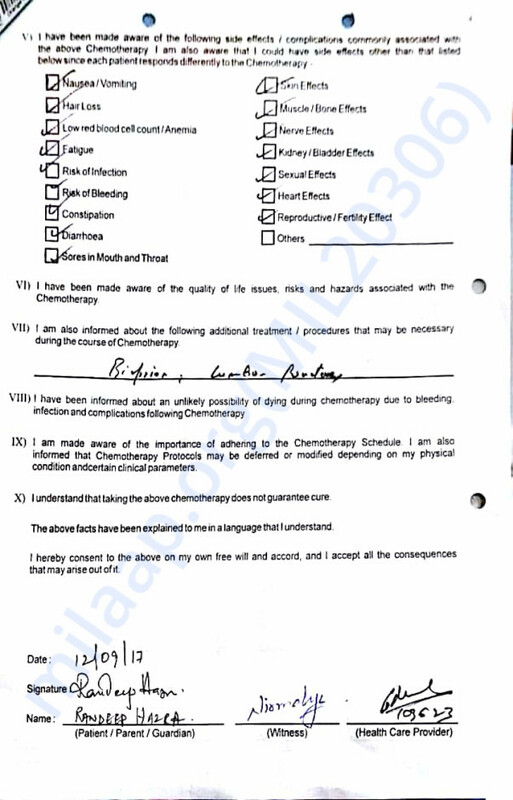 The doctors suggest that she will be undergoing chemotherapy for another 3 months and based on her response to the treatment they will be suggesting the future course of action. She has reduced eating and her weight also hasn't increased. She has normal side effects from the chemotherapy and the doctors suggest that they will reduce with time and she will recover from them. Thank you for all the love you have shown her. Would humbly request you to share this campaign further with your friends and family. Thank you for all the support you have shown my daughter Shreya so far it means a lot to all of us. She is undergoing her third protocol at present and is doing okay. She has a lot of side effects and the doctors suggest that it is normal as the dosage of the chemotherapy is high. She has even reduced eating and her weight is also reducing. Hope that she will fight it really hard and come back stronger and victorious. The doctors will be suggesting the future course of action based on the reports of the tests after this protocol. Hope you can recover fast.